Who wants to be tired all the time? No one wants to be chronically tired but if work is involved, some women can’t help but falling into this trap here in Singapore. This is not good because the body needs rest and in case you still do not get it, the body will shut down on its own one of these days. What’s more annoying is that people around you are rubbing it on your face. You see them tired and then you just assume that they are sleep-deprived. You even said “everyone is sleep deprived these past few days”. You have to be careful and not sound like complaining or taking things lightly because to the ears of the chronically tired women, you are plainly annoying and just saying things that you do not know. You also need to avoid mentioning to a chronically tired woman about cutting back on her coffee. When you have sleepless nights, you will get tired easily and some attribute your lack of sleep to coffee. It just happens that you drink a lot of coffee. When a woman is tired, do not rub it on her face that she should try cutting back on her coffee because it means cutting back the receptors that keeps her alert. You are just making unsolicited advice. The woman is claiming that she is chronically tired but you still say “but you are just exaggerating, right?” That is a no. 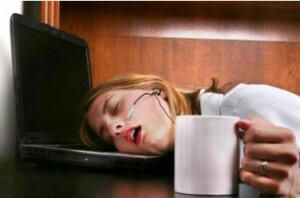 Women know the difference of sleep-deprived and chronically tired. All know the difference of exaggeration and merely stating facts. You can help the woman by not constantly bugging her of the things that she missed. She already knows what to do and if you will not help her achieve something, quit asking her to get more sleep. Rest assured she thought of that numerous times. You are just concerned and that is good but if you constantly rub it on her face to eat right, you should not bother mentioning food at all unless you have plans of giving her a hearty and healthy meal. She doesn’t need your diet suggestions.